With the TS400 GPRS-IO, remote stations such as pumping stations or remote buildings can be integrated into the monitoring system. 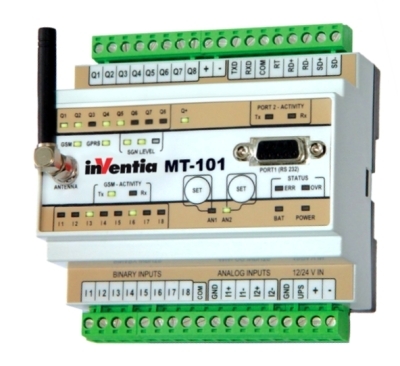 On the MT-101 controller, in addition to the GPRS Modem, eight digital inputs, and eight configurable inputs and outputs are already integrated. 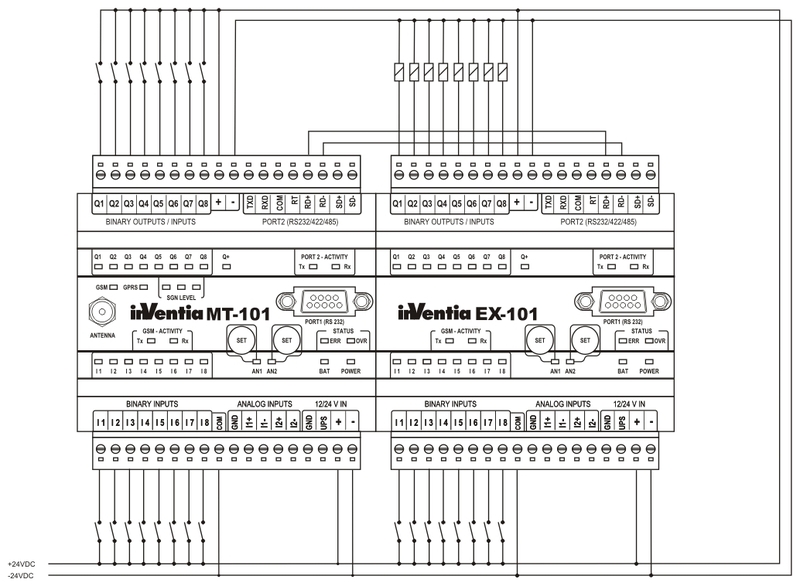 The controller can be expanded with up to 127 EX-101 expansion modules. For each expansion module 8 additional digital inputs and 8 configurable inputs and outputs are available. 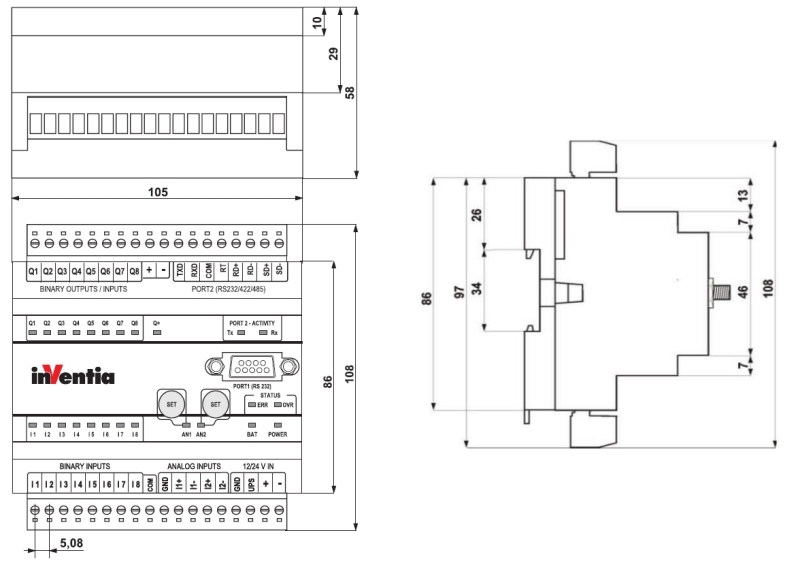 To integrate the TS400 GPRS-IO into the system, the TS400 CPU Processor module must be connected using a fixed IP address. 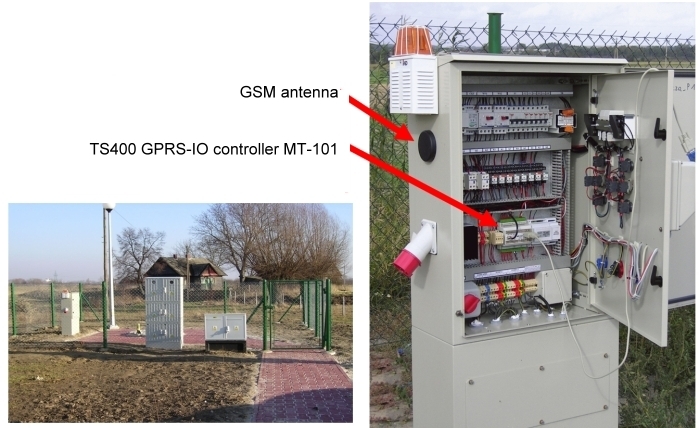 To integrate the GPRS-IO in the TS400, a one-time basic configuration using the supplied MT Manager has to be created. In the basic configuration, the number of IOs, the module address and the IP address of the TS400 are defined. Each MT-101 controller requires a SIM card. 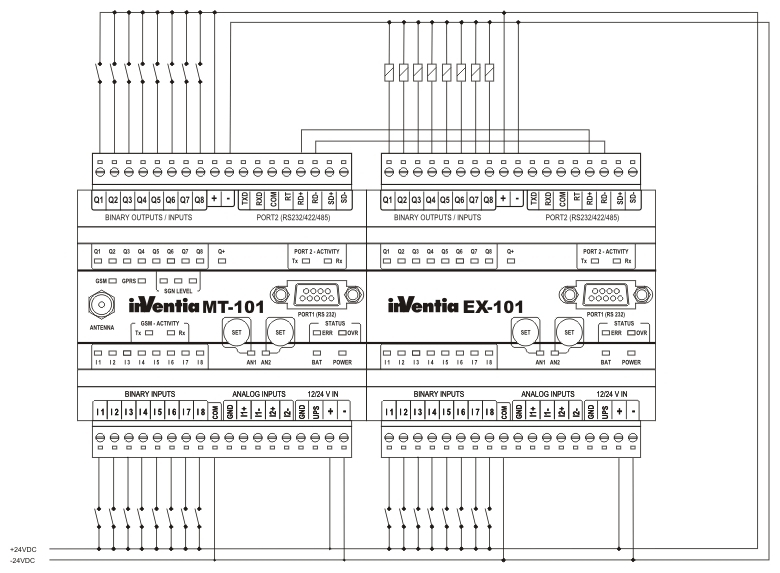 The connection between the MT-101 controller and the EX-101 expansion module is made with an RS-485 wire connection. The rest of the configuration is identical to local I/O configurations. The signals are sent over a SIG, which completes the configuration.